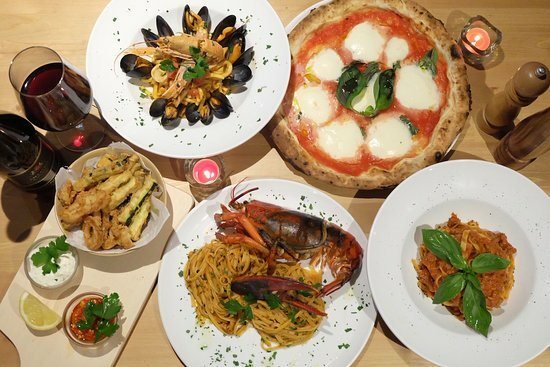 There’s so many Italian chain restaurants about that it’s sometimes hard to find yourself an authentic Italian restaurant in London – but we may just have succeeded! It’s Saturday night and to continue our relaxed weekend of hiding from the gusty cool weather and starting to prepare of winter, we head to Lena’s in Battersea for dinner. A short walk from either Clapham Common or Wandsworth Road, Lena’s sits on a quiet road, with inviting Italian décor out front. We step inside to a cosy, relaxed atmosphere and the other diners enjoying the pizzas appearing out of the traditional pizza oven and a good Moretti, which Lena’s has on tap. With quirky vintage furniture, tiled walls and an open-plan room which enables you to watch your food being cooked, we settle in and scour the menu. Feeling pretty peckish (especially after taking in the expansive and delicious sounding menu several times before I arrived! ), we decide to share the ‘Bruschetta Classica’ and the ‘Parmigiana di melanzane’ to start our meal. The tomatoes in the bruschetta are delicious and plentiful and the parmigiana's aubergine, tomato and mozzarella tastes like a mini lasagne – cheesy, flavoursome and moreish! Before we realise it, we’ve cleared our plates and it’s on to mains. Deciding to stick to something authentically Italian that we don’t have regularly, we opt for risottos – the gluten free 'Risotto ai frutti di mare' and the gluten free and vegetarian 'Risotto ai funghi porcini'. My visits to French seaside towns have taught me well on the prawn peeling front and I tuck right into my seafood dish, enjoying the fresh, salty aftertaste of the ocean in each bite. The rice itself is slightly al dante, just the way I like it, and the flavours are incredibly rich. The funghi risotto combines the strong flavours of truffle and mushroom with a creamy pasta, creating a mouth-watering combination. It may be a bold statement but the 'Risotto ai frutti di mare' may be the best risotto I've had in London - what a treat! 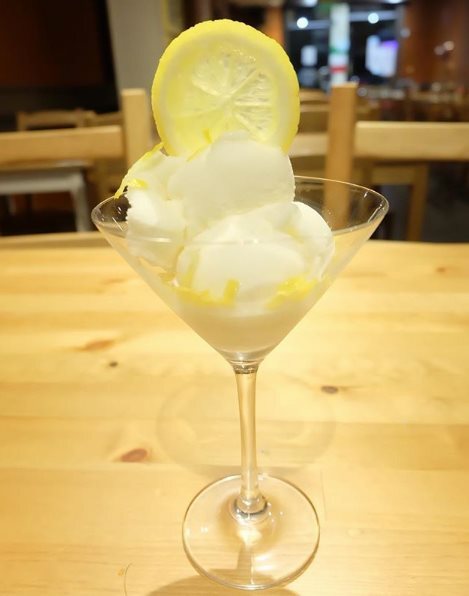 After two incredibly flavoursome courses, we grab a ‘Lemon sorbet ice cream’ as a quick palate cleanser, the perfect way to end this meal and a lovely evening. The greedy-guts we are, we discuss what we’re having on our next visit… there was just so much to try out! Why not head down to Lena’s in Battersea now - and with your Portico Places card you can benefit from 20% off! If you’re a Battersea or Clapham resident, Lena’s should definitely be on your ‘regulars’ list, so why not try it out for yourself today.